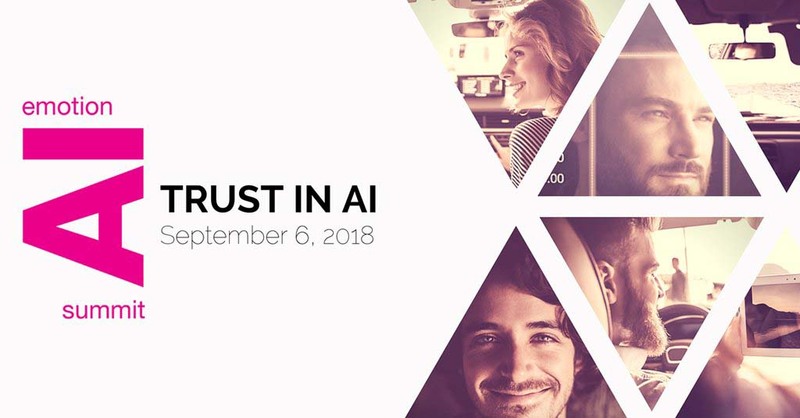 [dropcap style=”font-size: 60px; color: #9b9b9b;”]D[/dropcap]o you trust A.I.? No? May I ask why not? Self-driving car crashes, you say? Automation job-killing apocalypse? A complete takeover and destruction of humanity by rogue super A.I.? Since last year’s inaugural summit, which was held by Activa at the iconic MIT Media Lab, the news has been full of not-so-encouraging stories about a possible dark future of A.I. More than one economic pundit has predicted a massive kill-off of jobs by smart automated systems. And Elon Musk and, until his recent demise, Stephen Hawking, have been all over the media with warnings of an A.I. doomsday. Perhaps the statement was hyperbole. She explained it as the need for A.I. to trust that it is getting good input from us, so it can make the right decisions. But until we have sentient, general A.I., it might better be interpreted this way. To trust A.I., we first must trust ourselves to provide the right programming and input for A.I. As one presenter put it, the goal should not be to create good A.I., but A.I that does good. In her closing address, el Kaliouby put forth what she called a three-part contract with A.I. Trust—mutually—is the first part. The second part is pervasiveness. She feels it needs to ultimately encompass virtually all our experience. And third, it needs to be ethical; this assumes we can define what that is. Will Semi-Smart AI’s Replace Psychotherapists?